What is the Banjo’s ViP Loyalty Club? Banjo’s ViP Club is a loyalty club for all Banjos’ customers and is designed to deliver rewards for their patronage. ViP Club members will earn Banjo’s Points when they make a purchase (conditions apply) and receive regular communications and exclusive offers. How do I join the Banjo’s ViP Rewards Program? 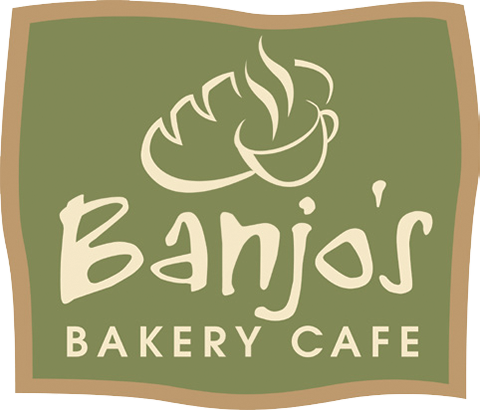 To join the Banjo’s ViP Club, you will need to pick up a Banjo’s ViP Club card from any Banjo’s Bakery. A valid email address is required to register a Banjo’s ViP Club card. Banjo’s ViP Club card members are only permitted to have 1 Banjo’s ViP Loyalty Club card which is allocated to one nominated email address. Each email address can only be used for a single membership. Ensure your login and password is kept confidential as no responsibility is taken by Banjo’s for changes to your account. No fees or hidden costs will be charged by Banjo’s Bakery for the issue, registration, activation or use of the Banjo’s ViP Club card. How do I earn Banjo’s ViP Points? Points are accumulated on a Banjo’s ViP Club card when the card is scanned by Banjo’s registers during the purchase of select Banjo’s products. Banjo’s Points are accumulated when purchasing select Banjo’s products. Your Banjo’s ViP Loyalty Club Card must be presented and scanned to accumulate points on purchases. Banjo’s takes no responsibility if registered ViP Club Member forgets to present ViP Club card before transaction is complete. ViP Club Points will not be added to a ViP Members card following a transaction if their ViP Club card is not presented to staff before the transaction is completed. Verified Members can also add points to their Banjo’s ViP Card by logging into their ViP account online and using their credit card to top up your points. Every time you spend $20 purchasing products from any Banjo’s Bakery you will receive $1 in Banjo’s ViP Points to spend back in store. Excludes bundle packs (e.g. 12 pack of small savouries), product deals (e.g. 2 pies for $10), platters, newspapers and cold drinks. While every effort will be made in store to ensure Banjo’s ViP Club points are correctly awarded, Banjo’s takes no responsibility for technical errors associated with crediting points onto the ViP Card. How do I redeem my Banjo’s ViP Points? All Banjo’s ViP Club cards must be verified under the new Banjo’s ViP Club system before points can be redeemed and offers can be received. If a ViP Club card was registered prior to 1 April 2019, the card holder will need to verify their membership/card under the new Banjo’s ViP Club system. If you registered your card online, you simply need to visit http://banjos.com.au/vip-rewards and follow the link to reset your password. If a store registered your card your you, Banjo’s has already VERIFIED your card in our new ViP system, and your card is ready to be used when the system returns early April 2019. Points can accumulate on an unregistered card but not redeemed. Once registered Banjo’s ViP Points can be redeemed at point of sale for future purchases. Your Banjo’s ViP Club card must be presented at any time you wish to redeem Banjo’s ViP Points. When redeeming Points for Banjo’s products in Banjo’s stores, verified ViP Members must have enough Banjo’s ViP Points to redeem against the full value of the item using Banjo’s ViP Points alone. I.e. you cannot use ViP Points to pay for part of a product e.g. 50% of a product’s price. Points are redeemed by presenting a Card or App barcode associated with a verified account at the time of purchase. For Points redemptions made in accordance with this clause, alternative payment methods should be used for purchase of other items not covered by Points redemption. Banjo’s ViP Points cannot be redeemed or exchanged for cash or sold or transferred to another party. A maximum of $50 worth of Banjo’s ViP Club rewards can be redeemed per day by any Banjo’s ViP Club Card member. Can I use my Banjo’s ViP Club card at any Banjo’s outlet? Your Banjo’s ViP Club card will only expire if it has not been used for 12 consecutive months. Prior to expiring, Banjo’s will make all efforts to contact you with the contact details provided by yourself to ensure you are able to use up any redeemed points prior to expiry. What if I have forgotten my password or lost my card? Can I have a card for my business? Banjo’s ViP Club is limited to individuals and not companies or other entities at this time. As a ViP Club member you are responsible for ensuring your information is current and correct and you will adhere to the terms and conditions under which the ViP Club operates. This includes but is not limited to notifying of change of address, lost cards and using the card in accordance with this agreement. How will offers, deals and other ViP Club benefits be communicated to me? Verified ViP Members who selected to ‘Opt In’ to receive communication from Banjo’s during ViP registration will be emailed all eligible offers, deals, exclusive competitions and other ViP Club benefits. ViP Members without valid email addresses or who ‘Opted Out’ to receive communication from Banjo’s during ViP registration will not receive email notification on eligible offers, deals, exclusive competitions and other ViP Club benefits. Any available ViP offers for these Members will pop up on Banjo’s registers when their ViP Club card is scanned in store. Verified ViP Members can change their ‘Opt In or Out’ status as any time by logging into their online ViP Club account, clicking Your Profile on the menu and ticking/un-ticking the option. If your Banjo’s ViP Club card is lost or stolen, you must suspend the card using your online account. Banjo’s is not responsible for any Banjo’s Points that may have been redeemed by any unauthorised person at any time. If a password be lost or forgotten, Banjo’s ViP Club card members should go to the ‘forgot your password’ button on the login page and enter the email address used to register their ViP Club Card.